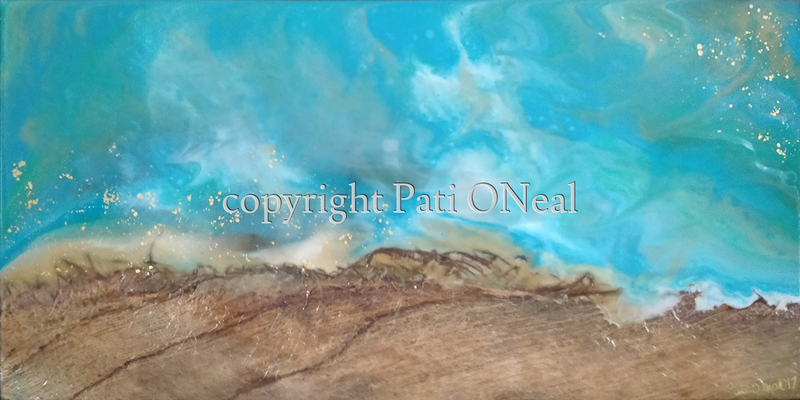 This vibrant resin painting captures the aqua blues of Kalama Beach in Kailua. Highlighted with gold to hint at the glint sun on water and accented by guinit (coconut tree fiber). The final appearance is created through the application of multiple layers. This original work is currently available at Island Treasures Gallery in Kailua, Oahu. For a similar commission contact the artist.